There's magic in every surf trip. Welcome to one that promises to be truly unique. For starters, head inland. Hit the road! California flies by outside your window and Surf Ranch finally rolls into view. Just inside the gates, you're greeted with a buzzing atmosphere filled with a community that's as stoked about this as you are. Food, music, art, and surf are all heating up with the summer sun. And the wave forecast is looking…well, pretty damn good. 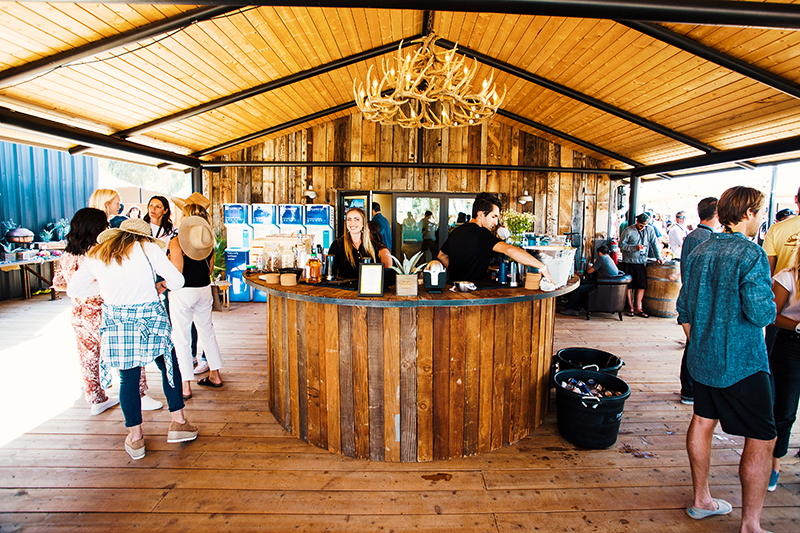 Jumpstart the morning sessions with a coffee, grab an organic, locally inspired lunch, and cruise into the afternoon on the shoulders of a crispy Michelob ULTRA or craft cocktail. Speaking of - drop by the Michelob ULTRA Pure Gold Surf Deck at the North End of the pool for a different vantage point on the action, giveaways, and, of course, a frosty Michelob ULTRA Pure Gold. After watching a full round of surfing, tune in to a marquee concert on Saturday. Throughout the weekend, take a break to follow your ears through DJ's, acoustic performances, and vibes on the loudspeakers. It's a flat pond, and then, all of a sudden, you're watching a perfect wave. With 700 yards of 'sideline' you won't just be close enough to see it—you'll be close enough to feel it. Keep an eye out for the uncontrollable, unmistakable grin of someone who just got a really, really long barrel. Every Seat Feels Like a Front Row Seat. Shuttles from the parking areas will start running first-thing! Gates will open at 7:15am. Get in, grab a coffee, and get settled before the first wave rolls through. Steph, Kelly, Gabriel, Jordy, Johanne, and their teams hit the water at 9am sharp! Round 1 will feature two waves – one left and one right – for each surfer. 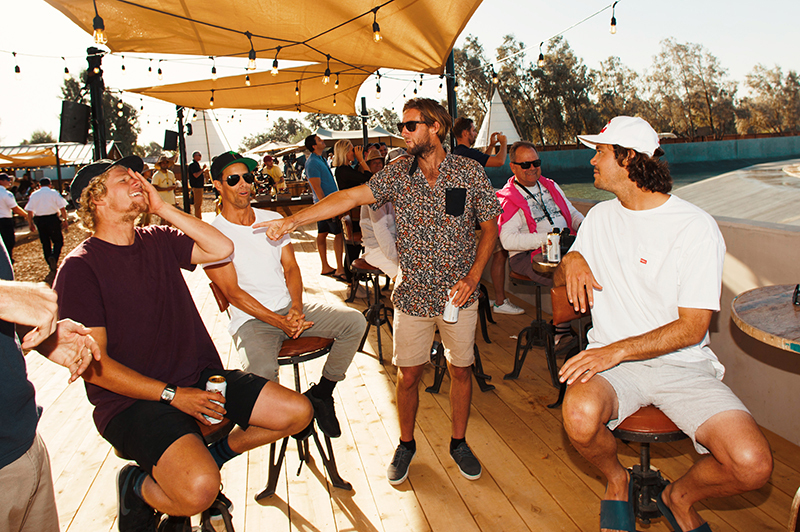 Food, drinks, rad experiences, and merch are all waiting when you need a break from the action. Official partners Michelob ULTRA Pure Gold, Quiksilver, Jeep, Lifeproof, T-Mobile, Barefoot Wines, and more will be posted up all weekend - make sure you drop by and check it out! After the rock show it's back to the water for Round 2, where each surfer will surf a left and a right. With two scores in the bank, they'll be letting loose! As round 2 winds down, it's last call at the bars! Grab a cocktail or Michelob ULTRA Pure Gold to finish out the day – but not too many – you'll want to be back on it early again tomorrow! 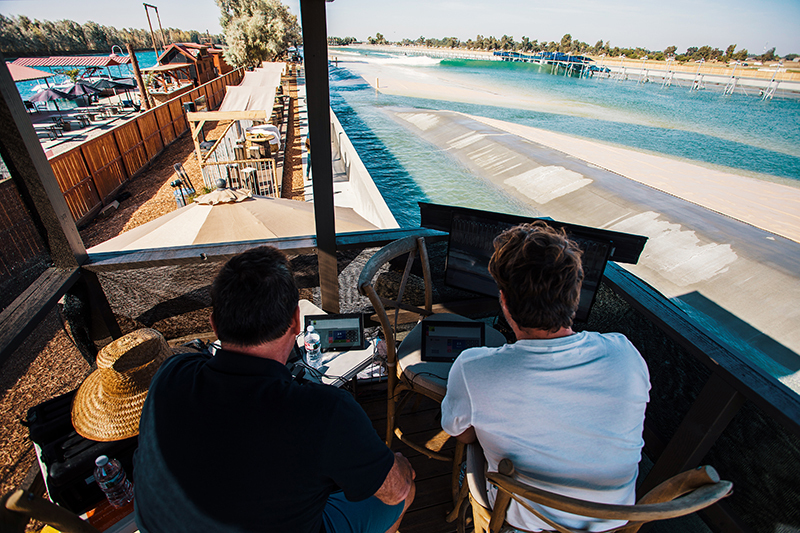 With two rounds of surfing and a concert in the rearview, get a good night's sleep and look forward to tomorrow's decisive Round 3 and Finals! Shuttles will run back to the parking lot until 7:30pm, when Surf Ranch's doors officially close. Good morning! It's heating up! Five teams will surf in Round 3, but only three will make the Finals. Get ready for everyone to go big as the pressure mounts. What team will come out on top? The best three from the early rounds will square off, with each athlete surfing two waves – one left, one right – and the top total score taking the first-ever Founders' Cup of Surfing trophy. Grab one more and cheers your friends to a memorable weekend. This last drink provides the perfect opportunity to figure out who's driving next year. Thank you for being a part surfing history. Get your camera and your flag ready and grab a front-row spot for the trophy ceremony. Thanks again for joining us in Lemoore! Make sure you get home safely, and never drink and drive. See you again next year!